In its latest All Songs +1 podcast, America’s National Public Radio network (NPR) talks to Paul McCartney about his songwriting process and how he manages to stay inspired despite having written some 30 albums worth of songs over the past five decades. The intriguing 40-minute discussion shows how McCartney, at the age of 73, is still in love with making music, and still feels a spark of enthusiasm in the way he approaches songwriting. To pave the way for a remixed, deluxe edition of his classic album Pipes of Peace, Paul McCartney has released a new remix of his 1983 hit with Michael Jackson, ‘Say, Say, Say’, which was originally produced by George Martin. The song became Jackson’s seventh Top 10 hit in a year. Now, Britney Spears has revealed that writing songs for her new album Britney Jean was like therapy for her too. The 32-year-old singer split from her former fiancé Jason Trawick when she was working on the album and, she says, some of the new tracks are about the heartache she experienced. While she understands some people might prefer to keep those feelings private, Britney is happy to lay herself bare through her songs. However, it is important to avoid being too personal and too insular in your ‘therapeutic’ writing. 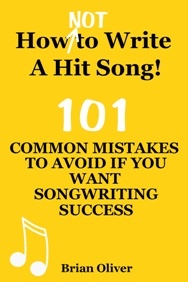 If you still want your songs to be successful commercially, they should always be about your audience—not just you. That means writing about experiences, hardships and situations that everyone can relate to. By writing about something that listeners experience in their own lives, you can touch people’s emotions. And if you can make the listener feel something, it’s the sign of a good song.